I was stationed at Camp Bondsteel, located in Kosovo for a lengthy six months. It was a very educational and eye opening experience. For the first "real" time, I was able to perform my duties as a Patient Administative Specialist. 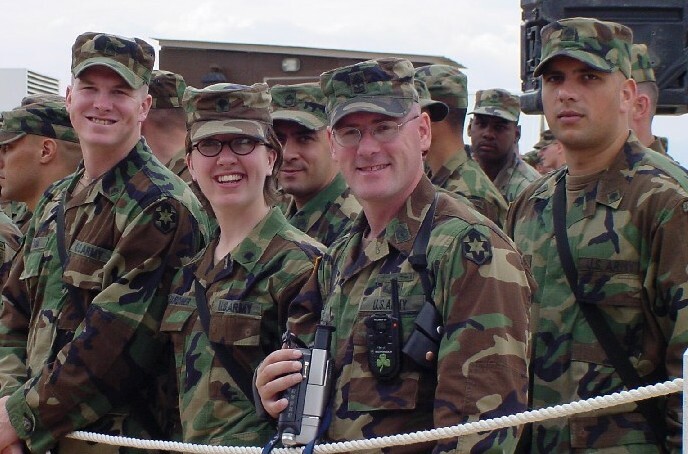 Operation Joint Guardian was not only my very first deployment, but also my first time overseas. My unit first went to Fort Benning, Georgia to prepare for the deployment, and then we were flown to Canada, to catch a flight to Germany. The stay in Germany was approximately a week, living out of tents and in the mud. The only good thing about Germany was the last day when soldiers were allowed to go off post and view some of the local area. The next destination was Camp Able Sentry, located in Macedonia. Vivid memories of arriving in the late evening, early morning, with so many emotions. 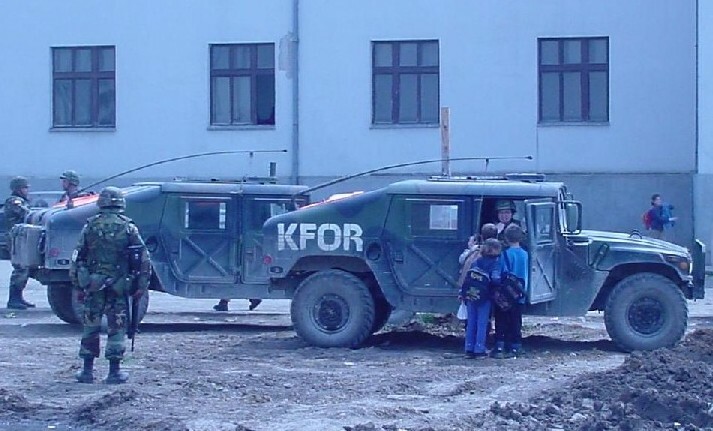 We obtained a "full load", received several briefings and then bused to Camp Bondsteel, Kosovo. What a relief I was feeling at 03:30 in the morning when I was finally able to lay down and get some rest. And now, I sit and wonder, where did the time go! On June 11th I went to Sofia, Bulgaria. Pass was 4 days long, allowing a nice break of atmosphere from what became everyday life. During my time at Camp Bondsteel I had one of the best opportunites of a lifetime, I had the chance to meet President Bush and The First Lady. Not to mention I finally received my first helicopter ride. I met so many great people. The memories, and experience I hope will last a lifetime! 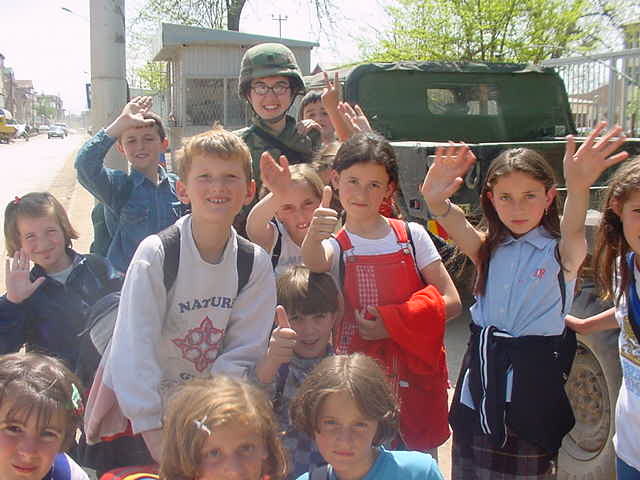 Here I am in Ferazi near a school, while visiting a local health house.